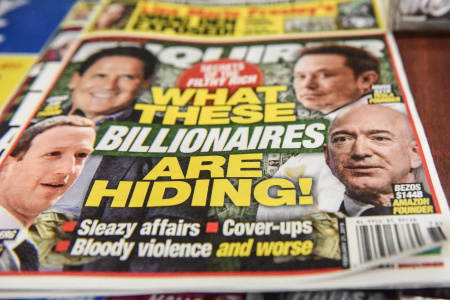 Bezos’ accusations add another twist to a high-profile clash between the world’s richest man and the leader of America’s best-known tabloid, a strong backer of President Donald Trump. Bezos’ investigators have suggested the Enquirer’s coverage of his affair – which included the release of risque texts – was driven by dirty politics. In a statement on Friday, American Media said it “acted lawfully” and was engaged in “good faith negotiations” with Bezos. But the company said its board of directors met and determined it should “promptly and thoroughly investigate” Bezos’ allegations and would take “whatever appropriate action is necessary” following the investigation.